"It's related to the much higher volumes of feed throughput and associated methane and nitrous-oxide [GHG] emissions." He added that most pastures were highly managed, and subject to "periodic renovations and also fertilization." 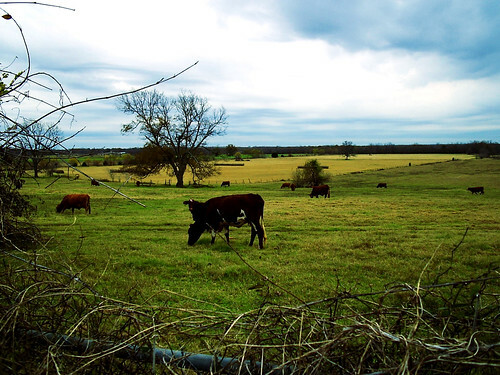 Finally, with grass-fed cattle "there is also a high [grass] trampling rate. So the actual land area that you need to maintain magnifies that [GHG] difference," Pelletier said. Look, meat won't scale to allow everyone to eat over 200 lbs of the stuff a year like we do now, despite what China is trying to do. We're going to have to eat less - certainly a lot less beef. But I have to say that I'm somewhat skeptical of this result. Without knowing its methodology, you can conceive of all sorts of potential flaws. Firstly, we don't know what types of agriculture the study examined - there's no indication, for example, that they compared conventional feedlot to organic grass-fed. And beyond organic, there are many ways to pasture cows (and to grow feed) - the researchers may have looked at the most GHG intensive styles. It's also not clear if they looked at emissions on a per animal or per facility basis - feedlots would probably come out better in the former than the latter. Finally, you need to look at net land use - the land used to grow feed would likely not lie fallow, but would instead grow something else, which would have its own carbon footprint, which might be lower than the corn. The same goes for the pasture (which could go in the other direction). And of course, they left out potential mitigation techniques such as biogas digesters that might provide more or less of an advantage to factory farms or pastures. It's not at all clear how you account for all that and to what extent they did. I'm not ruling out the possibility that these results might be accurate. But I'm by no means convinced.